American School will exhibit July 10-11 at the Arizona Home Education Convention sponsored by Arizona Families for Home Education. The temperature in downtown Phoenix on July 10-11 certainly will be scorching hot, but American School will offer an educational oasis to homeschoolers and their families who are attending the 32nd annual Arizona Home Education Convention in the Phoenix Convention Center's South Building. Attendees are invited to visit booth 1112 from 10 a.m. to 7 p.m. both days to learn about American School and its wide range of educational opportunities. "We're excited to return to Phoenix for the AFHE Convention," American School President Gary R. Masterton said. "We were there for a school counseling convention a couple weeks ago, but this is an entirely different audience. Homeschoolers will enjoy the flexibility, rigor and affordability of our online and paper-based courses." Indeed, American School offers two distinct high school programs, both of which contain 18 units of credit. The General High School Program and College Preparatory Program are available in the traditional paper-based format in which the students receive a textbook and study guide and mail their exams to American School for grading or in the more modern online format in which everything is done online with no printed course materials sent to the home. A paper-based diploma program costs $2100, while an online diploma program costs $3600. "Many homeschooling families have several children, so cost is an important factor in their educational decisions," Masterton said. "Because we are non-profit, we can keep costs to a minimum without sacrificing the educational content of our courses." American School also allows students to enroll in individual courses without pursuing American School's accredited diploma. This allows homeschoolers to enhance an existing program by taking interesting courses such as Forensic Science, Fundamentals of Electricity, or a world language course powered by Rosetta Stone. Individual courses typically cost between $150 and $300. Students and parents can be assured that they are taking courses from a reputable institution because American School is accredited by MSA-CESS, Ai and NCPSA. 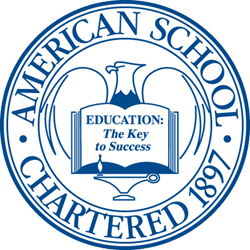 For more information, call 866-260-7221 or visit http://www.americanschool.org.